The declining partnership between GT Advanced Technologies and Apple continues to get even more juicy. GT Advanced Technologies recently filed for Chapter 11 bankruptcy, seemingly out of the blue, creating a major twist in story of the Apple Watch. Apple funded and tapped GT Advanced Technologies to help produce sapphire in its Arizona facility, which will no doubt be used for the sapphire display on the Apple Watch, but now that company wants to wind down production. In court documents spotted by MacRumors, GT Advanced Technologies suggests Apple might be the one to blame for its misfortunes. This is what it wants to prove to the court, which will decide on Oct. 15 whether or not GT Advanced Technologies can indeed wind down sapphire production. The document, filed with the United States Bankruptcy Court in New Hampshire, GT describes its dominance in the solar industry but it says that, in an agreement with Apple, it had to shift from an "equipment manufacturer/supplier" to a major sapphire materials manufacturer. That switch, it seems, may have taken a toll on GT's business model. "As discussed in detail in the Supplemental First Day Declaration, the agreements imposed oppressive and burdensome terms and obligations on GTAT," the company said in a filing. "The contracts and leases…provide no benefit to GTAT's estates, and GTAT's continued performance under the Agreements is no longer a viable business option. GTAT has determined that the Agreements are no longer necessary for GTAT's business operations. The Agreements also are not a source of potential value for GTAT's future operations, creditors, or interest holders and constitute an unnecessary drain on GTAT's resources." GT Advanced Technologies probably isn't just making these claims up to get out of a bad deal with Apple, either. The Wall Street Journal on Friday said that it wants to close two of its plants, including the one in Arizona that's making sapphire for the Apple Watch, and another in Massachusetts. The closures were reportedly result in about 890 layoffs, a large bulk of GTAT's employee base. In other words, manufacturing sapphire isn't in GT Advanced Technologies' best interest, the company argues, which is why it wants to cut out the sapphire production that it argues is holding it back. It now wants to reject its agreements with Apple before the company "unnecessarily depletes" its remaining assets. We'll need to wait until Oct. 15 to hear what the court decides. 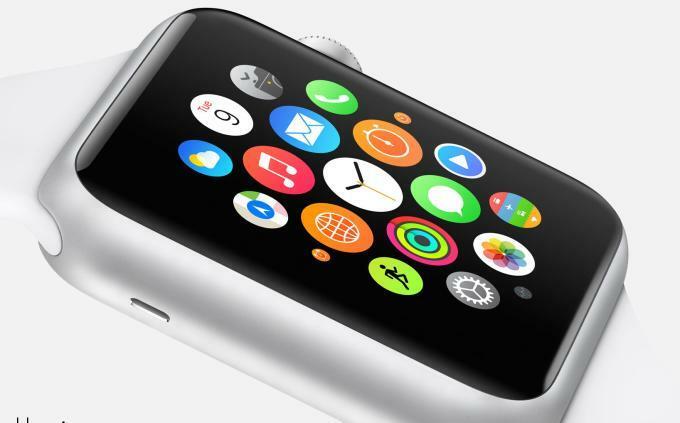 Apple so far hasn't commented on the matter and how it might affect the release of the Apple Watch, which is promised to hit the market sometime in early 2015.